In the wake of a new Life Safety Code requiring all nursing homes to install expensive, intricate sprinkler systems in their built in closets, Contempo Closet hopes to offer a viable alternative with their freestanding wardrobes and storage furnishings. In August 2013, a new Life Safety Code Requirement from the Center for Medicare and Medicaid Services will force nearly 16,000 nursing homes to install intricate sprinkler systems in their built in closet facilities in order to ensure the safety of the 3 million elderly citizens residing in nursing homes nationwide. NJ Furniture Manufacturer Contempo Closet aims to offer these nursing homes a more affordable alternative to expanded sprinkler systems with Contempo Closet’s line of freestanding wardrobes and storage systems. The alternative, expanding existing sprinkler systems into pre-existing built in closet systems is a costly, time-consuming process, requiring the attention of a contractor, architect, and engineer specializing in fire protection. The survey and bid process alone, which would require the expertise of the aforementioned individuals, would only account for a quarter of the costs necessary to fully expand a ceiling sprinkler system. The expansion of a full sprinkler system is a costly, time-consuming process, whereas the simple purchase of a freestanding wardrobe would fully comply with the Life Safety Code requirements. 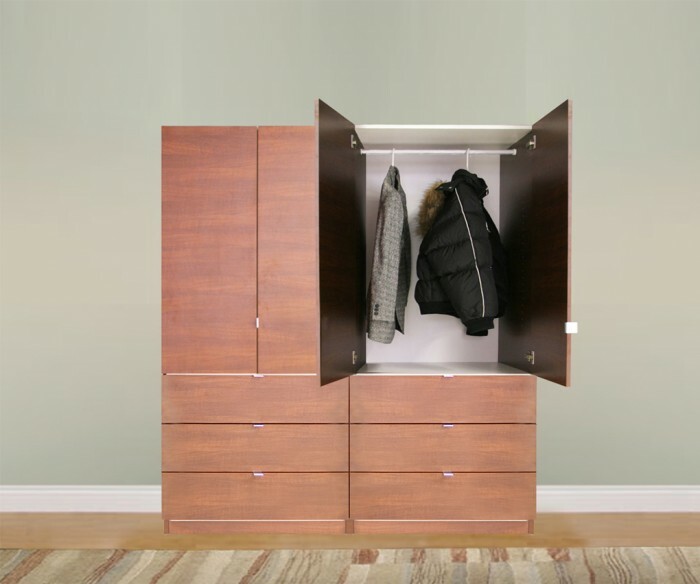 Contempo Closet hopes to offer nursing homes throughout the US a cost-efficient alternative to meet the standards set by the Center for Medicare and Medicaid Services with their freestanding wardrobes and storage accessories. Additionally, a new line of wardrobes boasts a refreshing interior design ambiance, creating a practical and visually appealing storage solution. Contempo Closet’s line of freestanding wardrobe products come in a wide variety of sizes and finishes, and can be custom tailored to fit any space’s pre-existing décor. Contempo Closet, a member of the Contempo Space family, specializes in custom closets, wardrobes, dressers and more. Design consultants and craftsmen work with customers to create the perfect piece for any space to best meet the customer’s needs. Contempo Space will even take the extra step to deliver and set up furniture onsite, leaving the customer free to sit back and enjoy. This entry was posted in Company News and tagged alternative, CMS, freestanding, nursing homes, sprinkler, wardrobe. Bookmark the permalink.